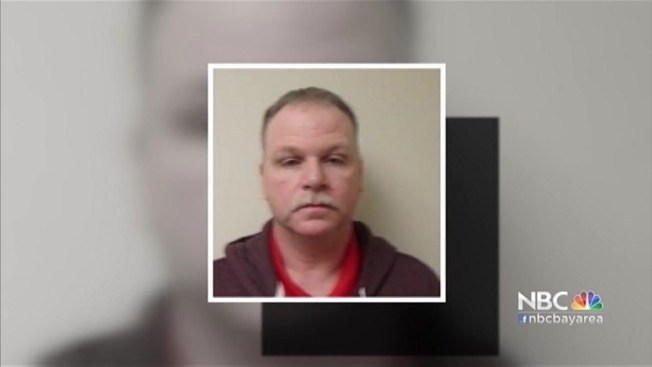 Concord police were notified Monday that 51-year-old Robert Bates, a man classified as a sexually violent predator, was being discharged and released under supervision but on transient status in Contra Costa County. A man with a history of sexual violence toward minors was released as a transient Monday and is now living in a Concord rental unit, police said Thursday. Concord police were notified Monday that 51-year-old Robert Bates, a man classified as a sexually violent predator, was being discharged and released under supervision but on transient status in Contra Costa County, police said. Residents are now demanding answers for why Bates is in their city. "I'm kind of sick to my stomach right now and concerned," Concord-resident Patrick Delay said. "My daughter is almost 13. She wants to go to Starbucks by herself with her friends. Now that's going to weight heavy on my decision." A superior court judge ruled that Bates had to be released in Contra Costa County by March 21. Bates' previous convictions include lewd and lascivious acts with a child under 14 years of age, oral copulation with a minor under 14 years of age or by force or fear and other felony crimes, police said. There are no alleged crimes that he is currently wanted for. Bates is on a conditional release and will be under constant supervision provided by Liberty Healthcare. The placement agency has been searching for a permanent home for Bates since July. Everywhere the agency has turned there was a public outcry. Bates is now residing in short-term rental units in Concord, police said. Since Bates does not have a permanent place to stay, he will be rotating out of hotels in Concord every four to five days, police said. "This is not an option for us," said Chris Blakely with the Concord Police Department. "We learned of it and we immediately put it out. We're going to be working with the city attorney to see what we can do to find placement somewhere else for Mr. Bates."